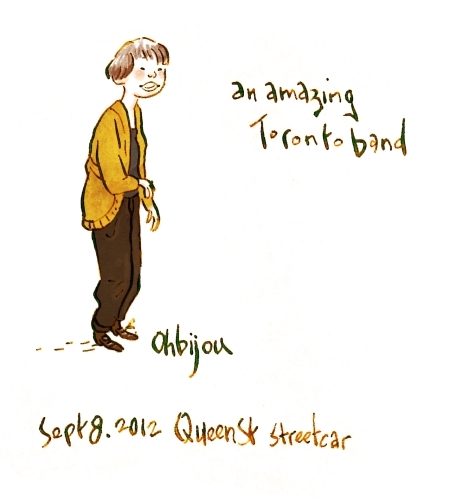 I saw Casey Mecija, from the Toronto Band OHBIJOU, last Saturday on the streetcar in Toronto. It’s the second time I see her in the city and every time, I regret being too shy to just go up to her and tell her how I love her music! If you guys don’t know about them yet, you should really check them out. Their music is fantastic!